Members of the LIFE + Trivers project met last March 9th with researchers of LIFE Triton Montseny (LIFE15 NAT / ES / 000757), a project aimed to improve the state of conservation of the Montseny Brook Newt (Calotriton arnoldi) and its riparian habitat. 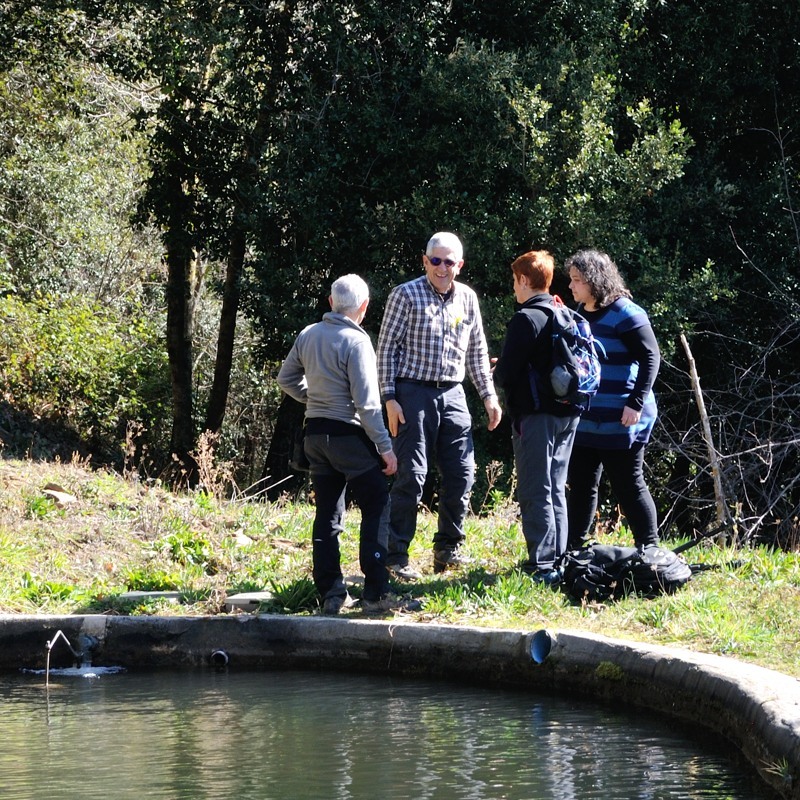 The objective of the meeting was to find connections between the two initiatives and assess how to improve knowledge of the hydrology of the Montseny torrents, where the Montseny Brook Newt lives. It is endemic to the Montseny Natural Park and the most threatened amphibian of Western Europe. The activity included a working session and a visit to several torrents. Different methodologies to study the aquatic states and phases of the torrents were discussed in order to improve the knowledge of the Montseny Brook Newt habitat. Participants of the meeting were Trivers researchers Pilar Llorens, Jérôme Latron and Francesc Gallart, from IDAEA-CSIC. Sonia Solórzano and Daniel Guinart, from the Montseny Natural Park, were the representatives of Tritó Montseny.